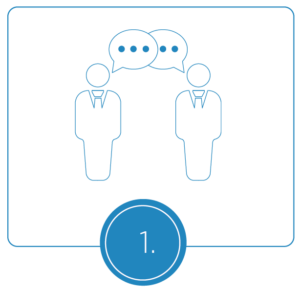 An adjudication process can be a helpful method for anyone involved in a Security of Payments dispute. With the help of a legal expert, the dispute can be resolved in no time. 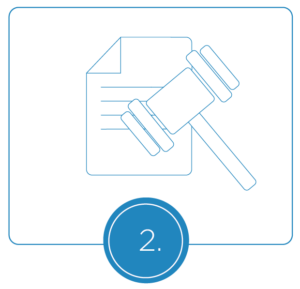 Adjudication is a procedure for resolving disputes without resorting to lengthy and expensive court procedure. Aside from enforcing the rights of builders and contractors under the Act, one of the benefits of the Security of Payment Act is that it provides builders and contractors a quick and inexpensive process of obtaining theor rightful payment. An adjudication is, firstly, not a court process. Rather, it is a quicker method in resolving disputes than lengthly and costly court process where an adjudicator is appointed to settle the dispute. Upon the Security of Payment Act’s legislation, its primary objective is to make sure that contractors and subcontractors get paid. If payment disputes or problems arise such as late payment, short payment or non-payment, the contractor’s right to file for adjudication is enforced. The amount given by the client is less than what is being claimed by the contractor. The client did not pay any of the disputed amount. The client failed to provide a payment schedule. By written submissions. However, there are turn of events that can eventually lead to a court trial. Under NSW’s Building and Construction Industry Security of Payment Act 1999, non-conformity with the law may be deemed invalid. A certain of another party may no longer be available if the party conformed past their given time. The respondent did not provide a payment schedule within the given number of days (10 business days). The claimant may file for adjudication and is allowed to suspend work for two business days’ notice. The claimant shall serve and prepare Adjudication Notice within 20 business days since due date of the payment. The respondent shall serve the payment schedule within five days since the receipt of the Adjudication Notice. If the respondent did not issue a payment schedule within five business days, the claimant has 10 business days (after the expiry of the five-day deadline) to apply for adjudication. The adjudicator shall come up with a decision within 10 business days since the receipt of the application. Respondent did not pay the full amount or any part of the scheduled amount. Claimant has 20 business days from the due date of the payment to apply for adjudication or may suspend work for two business days’ notice. 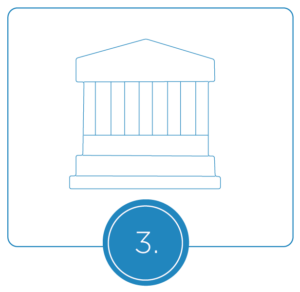 Respondent must serve the Adjudication Response within 5 business days since the receipt of the Adjudication Application or within 2 business days after receiving the notice of the Adjudicator’s acceptance of the application. The claimant may apply for adjudication within 10 business days since the receipt of the payment schedule. 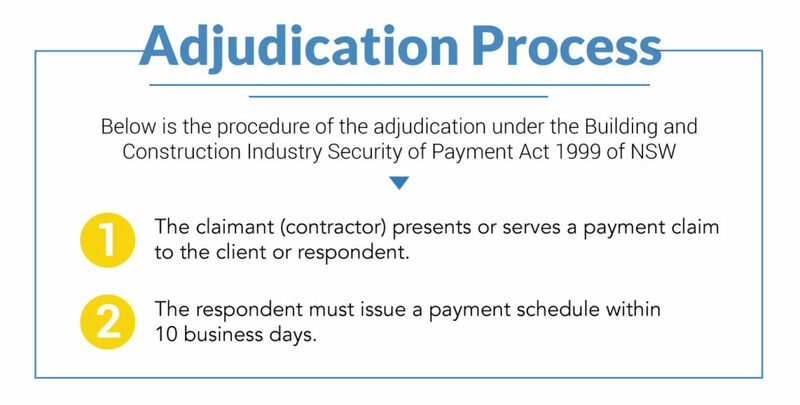 However, if an Adjudication Notice was served, the claimant shall apply for adjudication within 10 business days after the expiry of the five-day deadline.